Our waste transfer station, Calf Lane Quarry Waste Management in Odiham, processes waste from members of the public and our account customers, along with waste from our skip hire services and from Comley Demolition and the rest of the Comley Group. The waste is sorted and as much as 90% is recycled. Calf Lane Quarry Waste Management facility is fully insured to receive and process controlled and hazardous waste. COLLECTION SERVICE: We are able to offer a collection service for some waste items, charges vary on amount and location. Please call us on 01252 851863 or 01256 702178 to see if we are able to collect your waste. If you have your own transport, we can take your material over our weighbridge and provide a quote for your waste disposal. Our facility is accessible to all size of vehicles and incorporates large calibrated weighbridge and 1.5T calibrated scales for smaller loads. Contact Calf Lane Quarry Waste Management facility on 01252 851863 or 01256 702178. 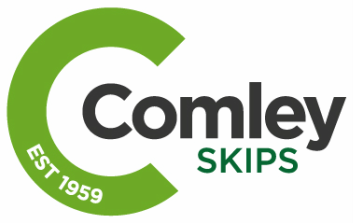 You can also email any enquiries to jamie@comleyskips.co.uk.